The Los Angeles Rams have returned to California after 22 years in St. Louis. Playing in the Coliseum at USC for the next 2 years until their stadium in Inglewood opens up, they can seat more than 90,000 people for each game. And in the first game since they returned to L.A., over 20,000 of those fans came to the game using the Los Angeles Metro. But getting to the Metro is not easy for most riders: this is where an electric scooter comes in handy. 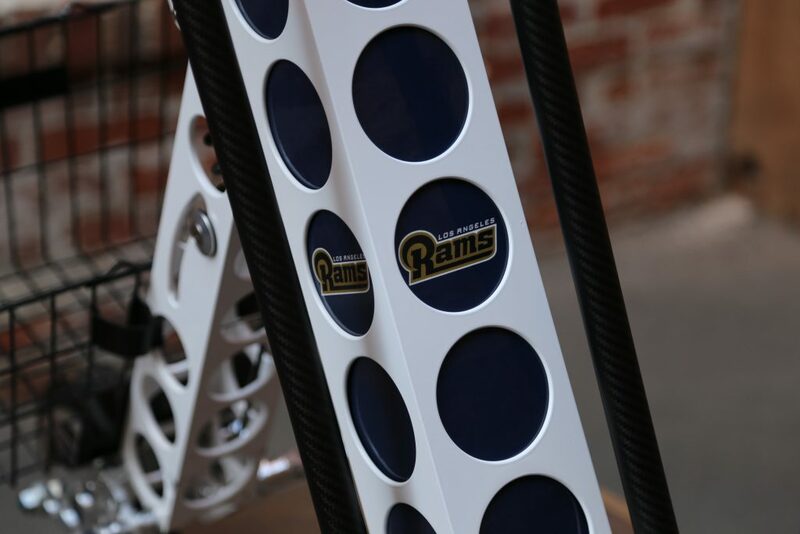 And in particular, a foldable electric scooter that complements the Metro and large events like a Rams game. The URB-E is the perfect companion to L.A. Rams games. Below we compile the top 5 reasons why the URB-E foldable electric scooter is perfect for beating L.A. Rams parking nightmares. 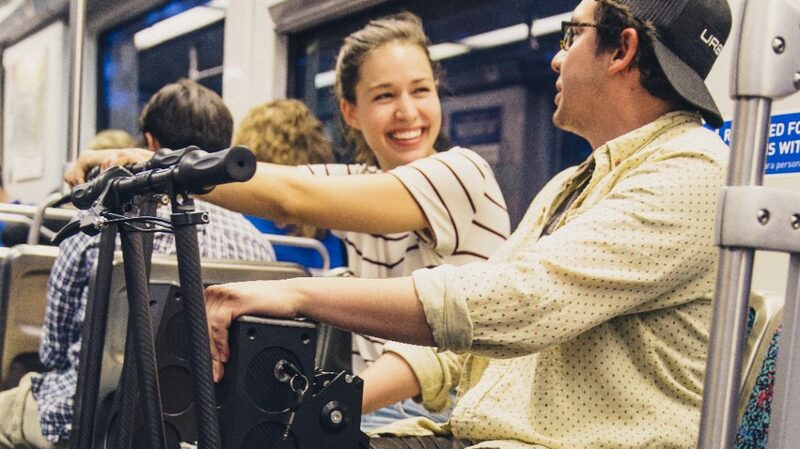 URB-E is the ideal tool for a Los Angeles Metro rider. A major difficulty in expanding Los Angeles Metro adoption is that few potential riders live within a comfortable walking distance of the Metro. This is commonly referred to as the Last-Mile Problem. The URB-E electric scooter comfortably carries you to your Metro stop and then to the Coliseum once you get off the Metro. If in the past you had to walk 40 minutes to get to a stop 2 miles away, a 15 mph electric scooter can get you there in 8 minutes. That makes the journey entirely less stressful, and a lot more fun! And once you arrive at the Metro station, you can easily lift the 35 pound URB-E to get it down to the train platform, where it folds to slide onto the train alongside you. The URB-E takes up no more room than a young child, and is perfect for the crowded game-day Metro. As an added bonus, the URB-E can charge your phone on the go, so you can save battery for pictures at the game and calling friends or family to meet up in the game-day chaos. Once you arrive at the Coliseum, you just need to lock your URB-E at a bike rack near the stadium. The URB-E folds to take up less space than a bike, and holds strong in any weather. 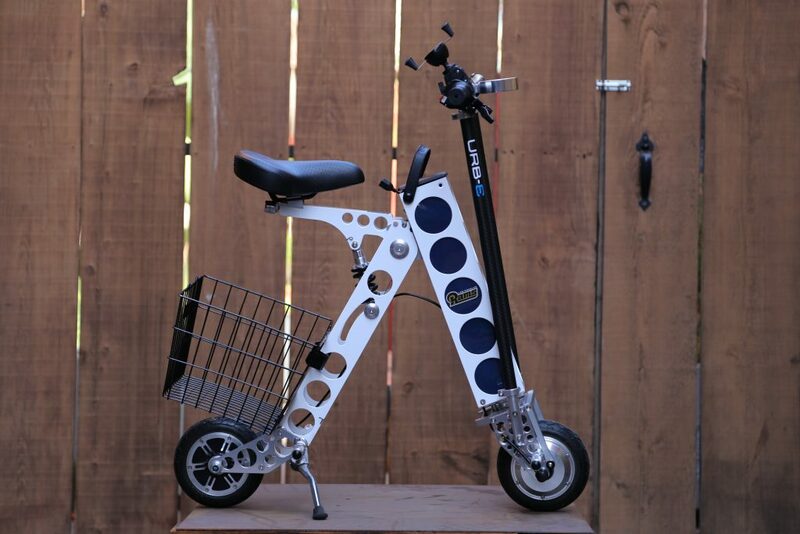 With an aircraft-grade aluminum body, you can loop a bike lock right through the frame to guarantee your folding electric scooter will be there when you return. URB-E promotes the Abus Folding Lock, which is flexible while promising to keep your vehicle secure until after the game. L.A. Rams parking has been and will be incredibly pricey, fetching over $1,000 for some fans and parking prices commonly in the hundreds of dollars. This is on top of L.A.'s notorious traffic problems, which are made worse by big events. So by driving to a Rams game you will pay for gas used sitting in traffic before and after the game, on top of paying incredible fees for parking within a mile of the stadium. 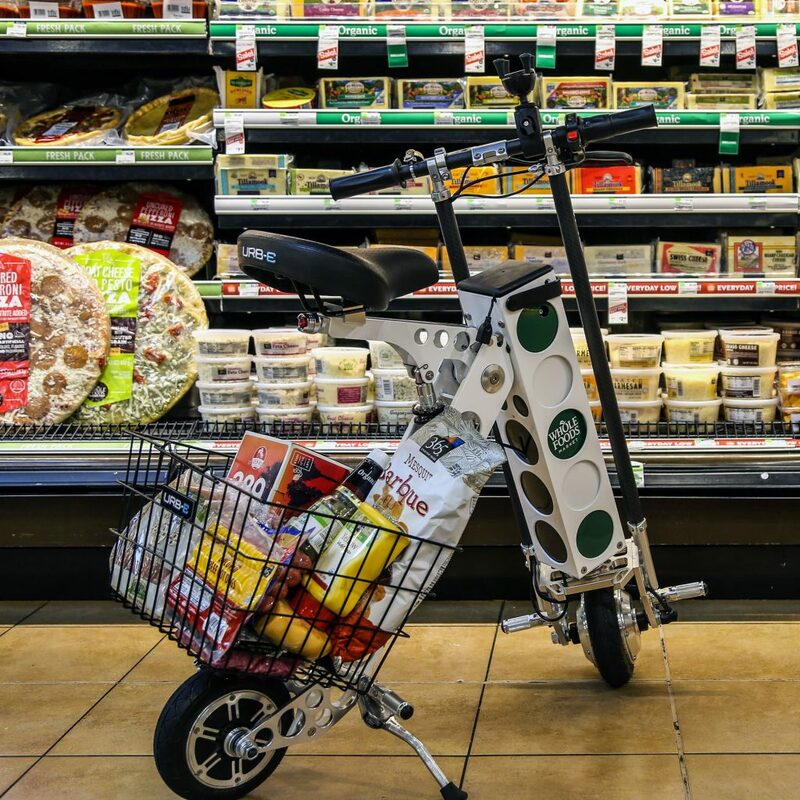 With an URB-E electric scooter and the Metro, you can glide right to the nearest bike rack and avoid the gas, waiting, and emissions. And if you do choose to drive to the game, the URB-E is a great addition to your tailgate. By using the URB-E basket, you have an easy tool to get food and supplies around the parking lot, or to meet up with friends who may have paid to park closer. When you need to head into the stadium, the URB-E folds up to fit safely into any car until the game has ended. If you're planning on heading to the Coliseum for a game this season, the URB-E will help you beat L.A. Rams parking. And if you live in Los Angeles, you can come see the URB-E headquarters in Pasadena, where we offer free test rides and a weekly tour of our production facility. So avoid the $100 parking by checking us out at 54 W Green Street in Pasadena or giving the team a call at today!